Ted Danson is many things: A national treasure. A silver fox. One. Cool. Septuagenarian. 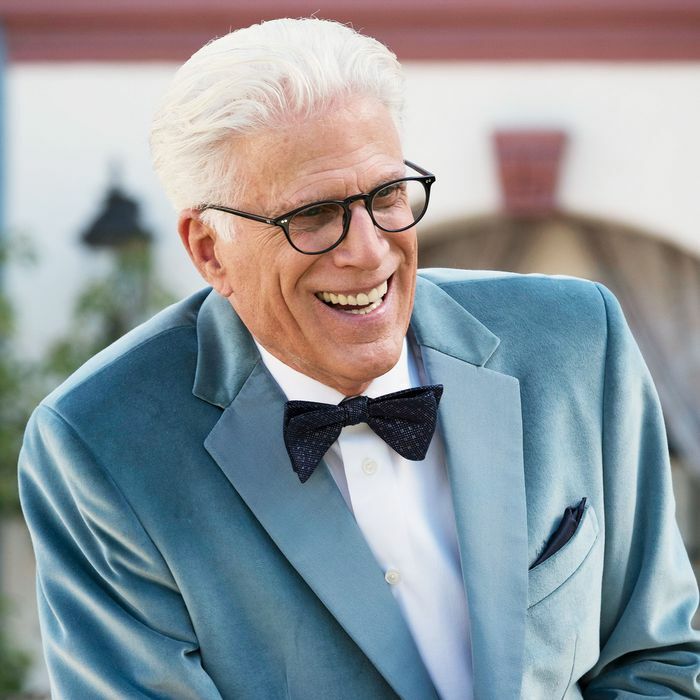 So it’s completely unsurprising that his fellow Good Place cast members enjoy chatting about the guy while doing requisite rounds of press for the series, and their stories range from some delightfully silly tales of Danson’s humility to his smooth moves on the dance floor. Without further ado, here are their best stories. I remember there was one time he was eating Swedish Fish and all of the sudden he just paused. I don’t know if this was a party trick or if it just came to him on the spot, but he was able to eat the Swedish Fish through his mouth, take a piece of it, and then snort it through his nose like a booger. All of us freaked out. William Jackson Harper ran across the stage. I ran for my life. We just didn’t know what was going on. Witnessing that moment right there was like, “Oh my goodness, if anything, Ted Danson is Jason Mendoza. He’s just the biggest child out of all of us.” I just remember that, and I don’t think I’ll ever forget that moment, Ted Danson taking a booger out of his nose. Jameela Jamil's behind-the-scenes video of dancing with Ted Danson.